“Rise!” is perhaps the most important skill in the Minion Mancer rotation as it allows you to summon up to 6 additional minions, with a low cool-down. Signet of Locust can be swapped out for another utility skill if you do not need the increased movement speed (or if you are using daggers + Quickening Thirst trait). 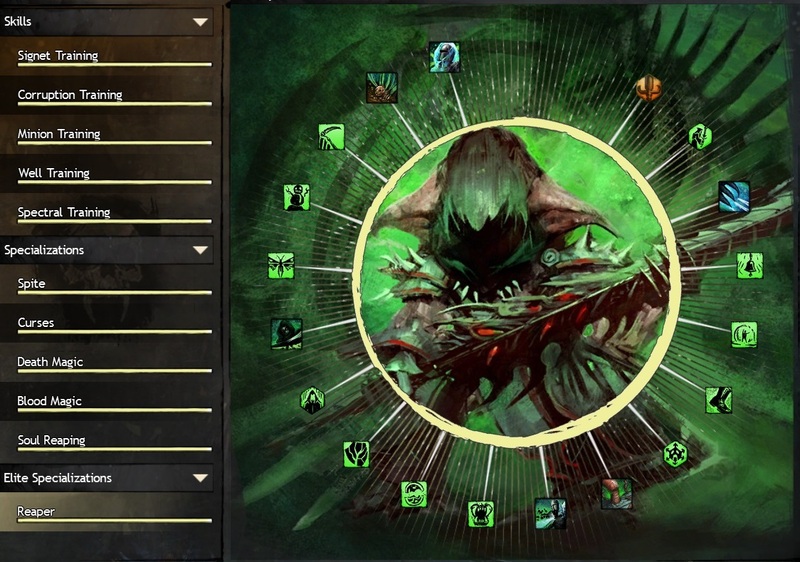 Other utility skills to consider in place of SoL include: Plague Signet, Signet of Spite, “You Are All Weaklings!”, or one of the other Summon skills (Shadow Fiend, Bone Fiend, Flesh Wurm). 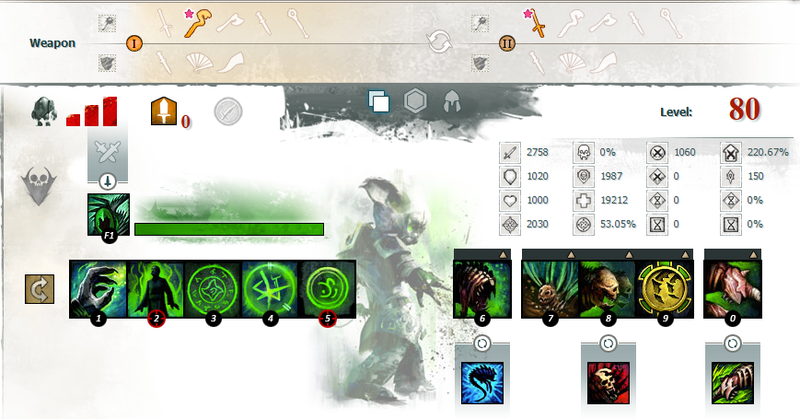 The remaining Summoning skills shown above are the best ones available for the Minion Mancer reaper build. The specific gear stats you choose to use for this build are not as important as using the correct specializations and skills. However, we will provide a few recommendations to help you get the most out of the Minion-Mancer build. The steps outlined above are meant to give a general overview of the Minion Mancer rotation, but you should adapt your strategy to the situation at hand.